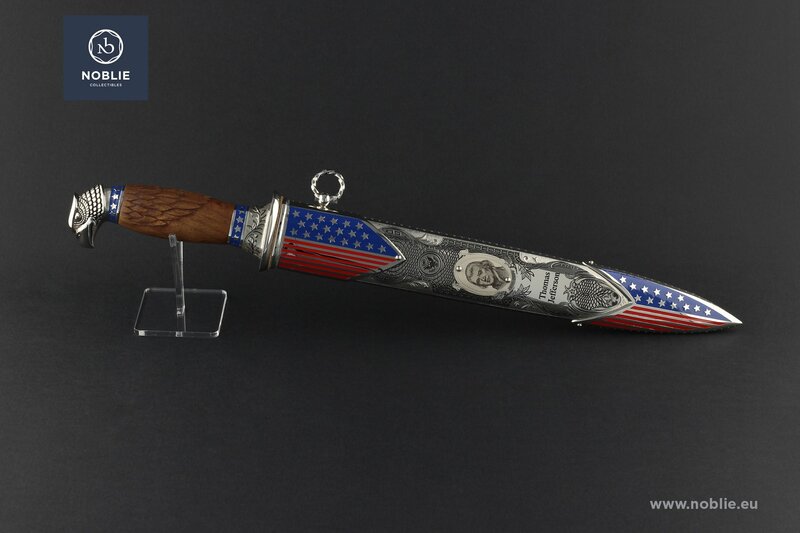 Artistically crafted blade from the knife collection ”Presidents of America”. Produced by traditional methods of metalwork and decoration techniques: forging, etching, polishing, engraving, nickel plating, blackening, fretwork. 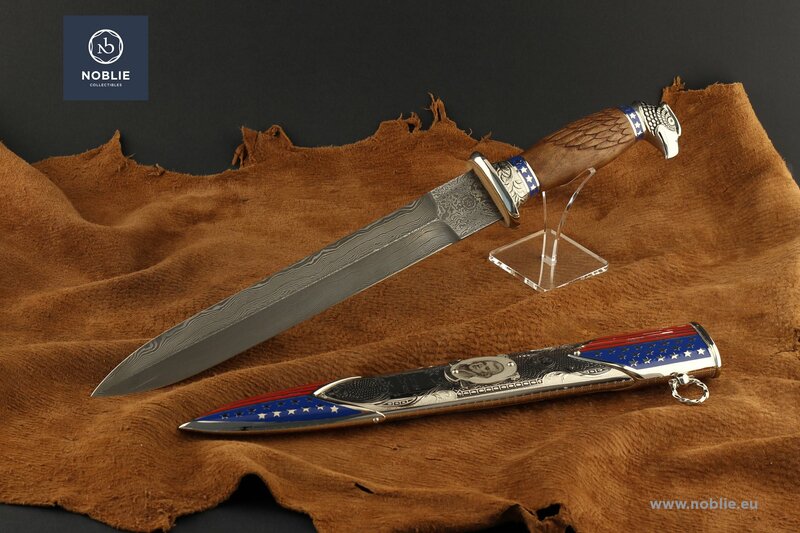 Blade of stainless Damascus steel. Handle. Walnut wooden grip with carved eagle feathers. Brass eagle head pommel. Artistically decorated guard. Two decorative rings with American flag stars. 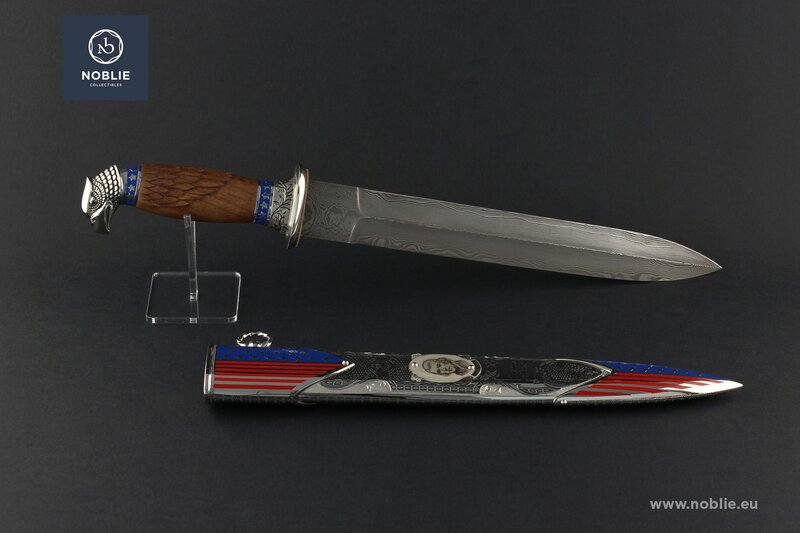 The scabbard is all-metal forged, with decorative mouthpiece and chape, decorated in Stars and stripes flag. 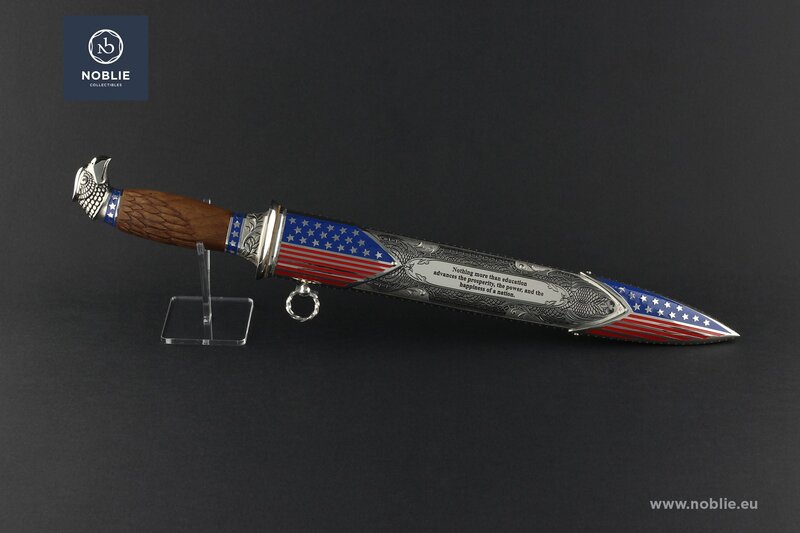 The middle part of the scabbard is depicted with portray of Thomas Jefferson and inscription of his name, both engraved on one side. Engraving of citation of Jefferson’s thought on the opposite side. 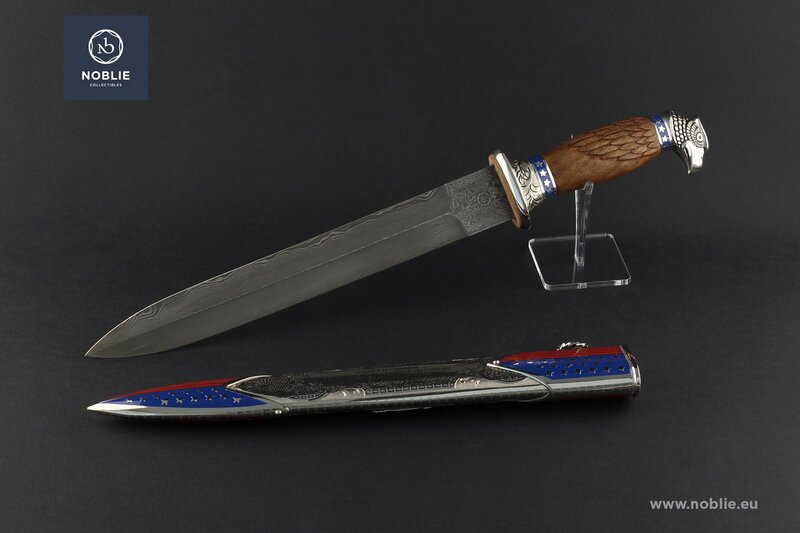 Collectible piece of knife making with dedication to the founders and significant state men.